Whether you are buying a home for the first time or you are just looking for an upgrade, it is never a bad idea to arm yourself with tips that can make your search go from overwhelming to enjoyable. Rather than learning the hard way about hidden expenses and difficult neighbors, there are things you can do to feel more confident as you begin your search. When starting the home-buying journey, the first thing to consider is the cost and expenses. When pre-approved for a mortgage of a certain amount, keep in mind that number is not a target — it is a maximum. While a seller’s market often means little wiggle room on price, your best bet is to find a property below that number so you have a financial cushion when negotiations happen. It is important to remember the mortgage is not the total cost of your home. It usually only covers principal, interest, property taxes and homeowner’s insurance premiums. Homeownership involves many other expenses like closing costs, home repairs and potential yearly increases in property taxes. Last, and something few people think about, if you have a life insurance policy, be sure to review it to make sure your coverage takes into account the mortgage debt on your new home. This ensures that if something happens to you, your family is financially secure. Finding the right home requires a delicate balance of flexibility and finesse. At the same time, you want to stand firm when it comes to your non-negotiables in your new home (price, school district, a second bathroom). This is where having a real estate agent can be of enormous benefit. Agents have the expertise and time to devote to your search that allows you to flex when opportunity arises and get a home that doesn’t break your budget. Finding the right agent is a lot like finding the right home — you need to do your research. Get referrals for accredited agents and have meetings with two or three of them before deciding who to hire. Make sure they have experience working with homes in your price point and are familiar with the areas you are looking to buy in. Lastly, do not sign an exclusive broker agreement unless you are certain you have found the right agent for you. There are many resources available to help you find an agent that understands your individual needs, such as USAA’s Real Estate Rewards Network. While location is important, many factors feed into a great neighborhood. From disputes over pets and parking to personality clashes, neighbors can have a big impact on your happiness as a homeowner. Before committing to a neighborhood, take time to walk the street and gauge compatibility with the neighbors you meet. Talking with the neighbors may also reveal hidden quirks about the home you would not have known otherwise, such as a basement that constantly floods or an ongoing dispute about a property line. Television shows have glamorized home renovation. Before deciding on a “fixer upper,” make sure you have a full understanding of what it will take — and how much it will cost — to make the house match your vision. Construction projects often take longer than anticipated and can reveal other problems that end up costing more money. If your home is a complete renovation you also won’t be able to live there during construction, so you need to ask yourself, can you afford to pay for two homes for several months? Similarly, a larger house means more time and money spent on upkeep. A house with a big yard may have great curb appeal but will you truly use all that space? Be realistic, because the money for maintenance on a bigger house is money in your pocket at a smaller house that has many of the features you want. Lastly, remember that no home improvement project will change your commute or how noisy the nearby traffic is. One final piece of advice — do not let your emotions take over the process. Choosing a home can be stressful and overwhelming. It is important to keep a level head. No decision this big should be made on an impulse, so take your time and think through every aspect of the process. 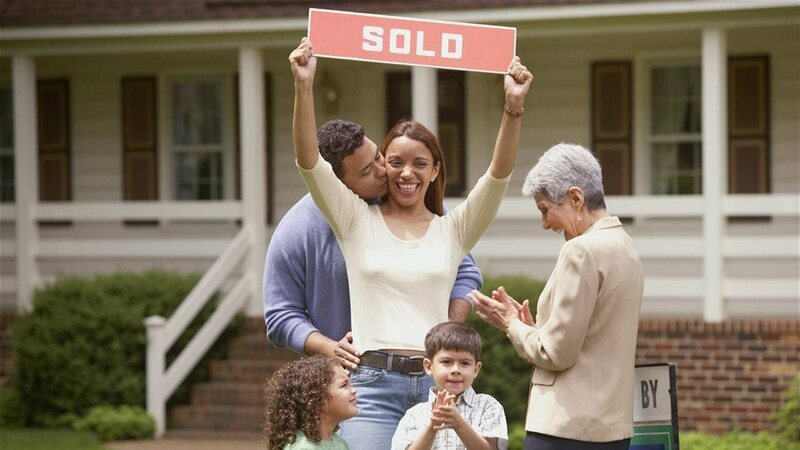 To learn more tips and tricks to buying a home or to find a trusted agent near you, visit USAA’s Home Learning Center.